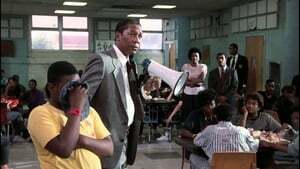 When principal Joe Clark takes over decaying Eastside High School, he's faced with students wearing gang colors and graffiti-covered walls. Determined to do anything he must to turn the school around, he expels suspected drug dealers, padlocks doors and demands effort and results from students, staff and parents. Autocratic to a fault, this real-life educator put it all on the line.